Easy to Inflate: If it’s a windy day, simply open the mouth of the lounger into the wind to inflate. 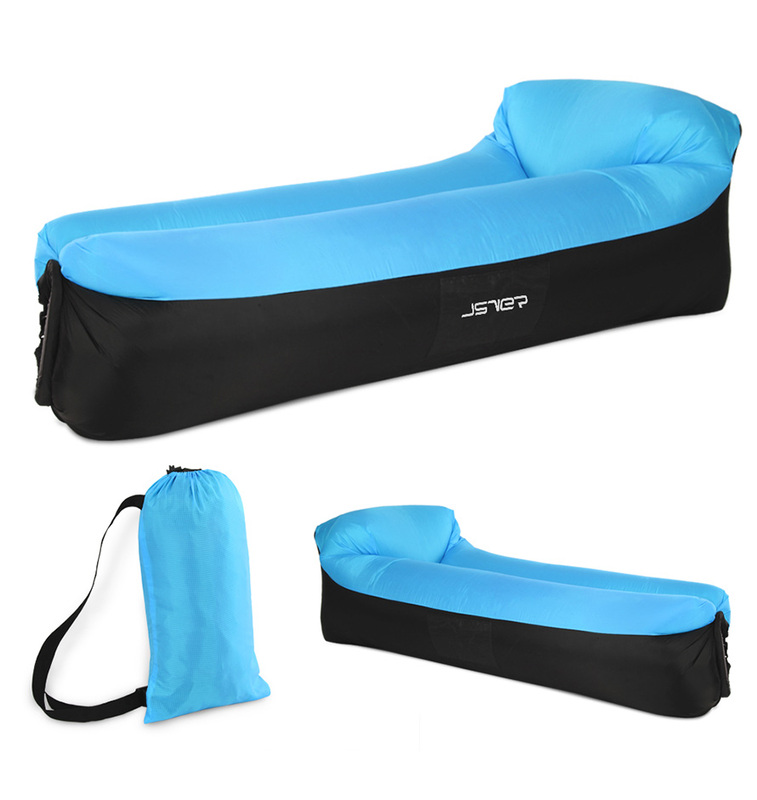 If the wind is negligible, just run a few steps with the lounger in-hand to inflate. No need for a pump! 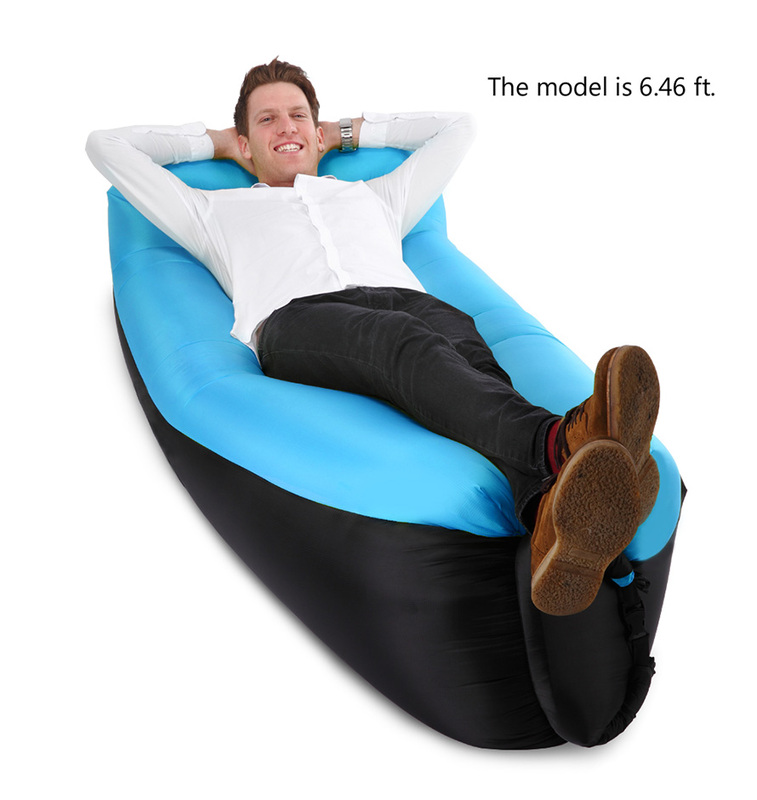 Easy to Inflate: Please inflate the lounger in windy conditions. If its a windy day, simply open the mouth of the lounger into the wind to inflate. Please do not run in circles with the lounger in-hand. Use a fan to fill it up if the wind is negligible or if youre at home. 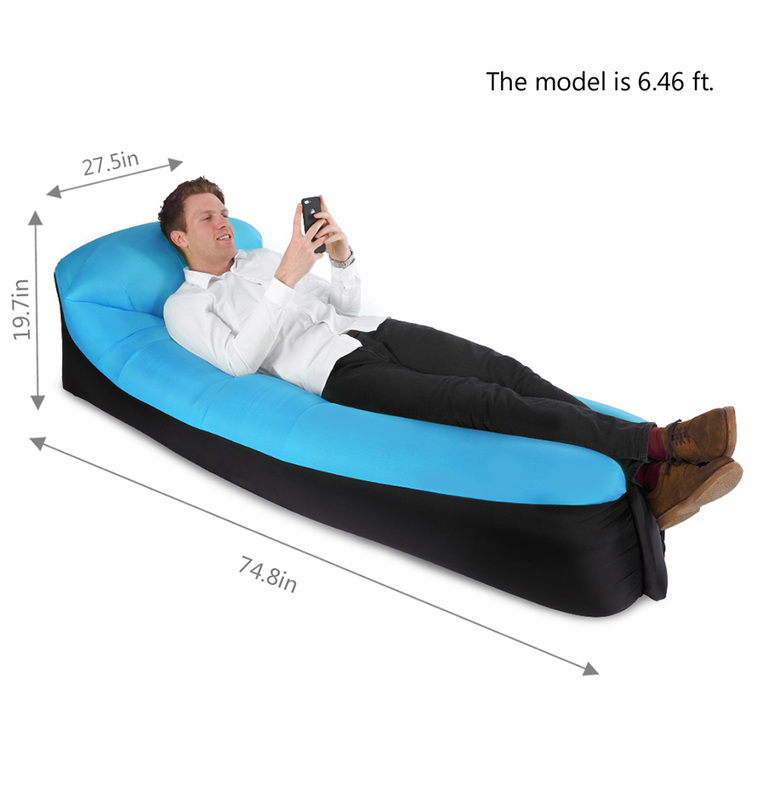 Anti-deflation: Once the lounger is inflated, it will stay inflated for approximately 24 hours. Square-shaped headrest: The upper back support and carefully designed ergonomic headrest provides the ultimate comfort experience. Indoor & outdoor: Suitable for many occasions! 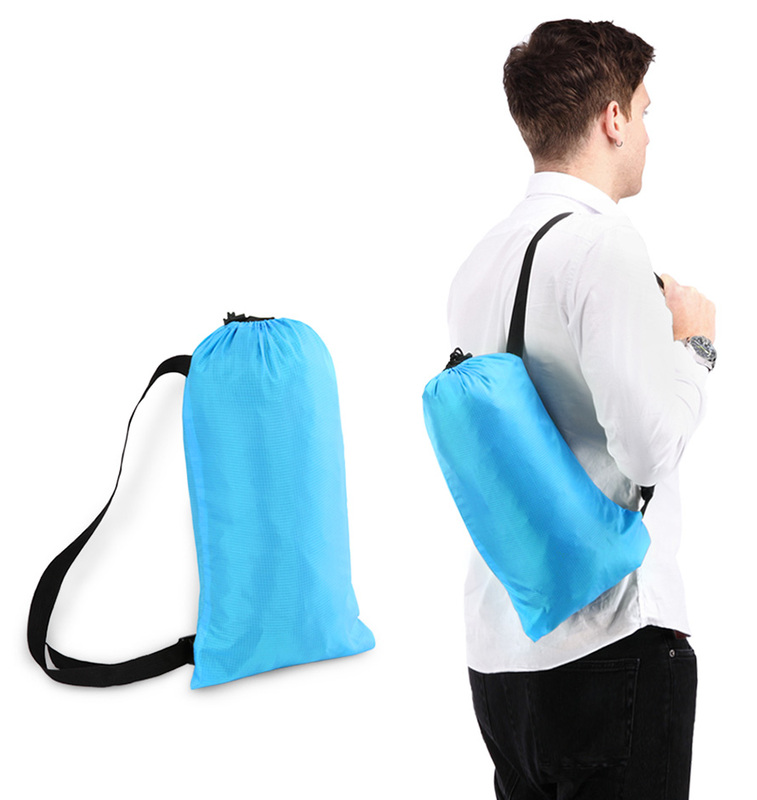 Perfect for camping, outdoor BBQs, swimming at the beach or by the pool, backyard fun and many more. 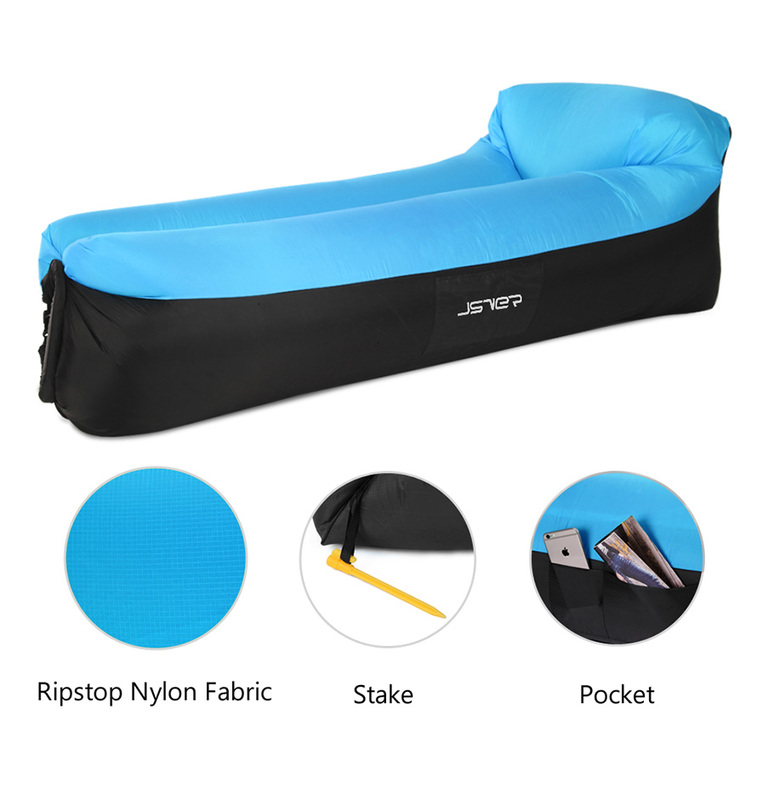 Extreme durability: The well-knitted light and thin JSVER inflatable lounger is made up of high density waterproof 210T rip-stop nylon and built to withstand a wide range of flat surfaces including sand, grass, snow, water and even gravel. 1. Take out the lounger and roll it out onto the ground. 2. Open the mouth of the lounger. 3. 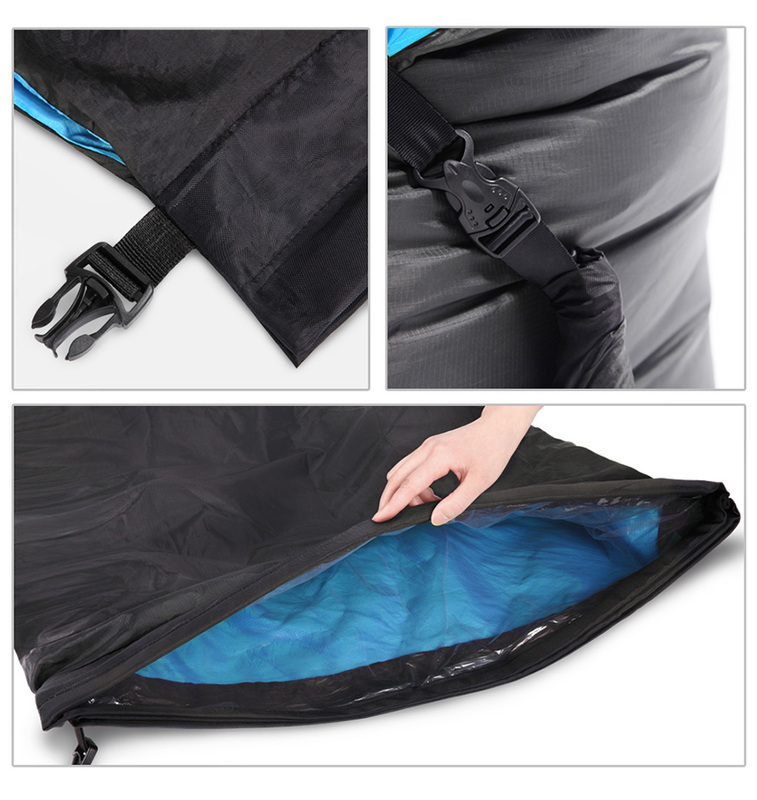 Inflate the first pocket by running a few steps in straight with the lounger in-hand. Please do not run in circles with the lounger in-hand, for the pocket is long enough to trip you up easily. 4. Inflate the second pocket. 5. Seal it when its fully-inflated. Rotate at least four times until its tightly sealed so that the air wont go out through the mouth of the lounger. 6. To prevent the lounger from being blown away, drop the anchor into the ground and then fasten it to the string at the bottom of the lounger.